For over 30 years Wallis and Matilda have moved the emotions of Australians of all ages with their inspired musical interpretations of the works of A.B. (Banjo) Paterson. Beginning with the all time Classic, Clancy of the Overflow, and moving on to a stunning rendition of The Man from Snowy River and other famous works this band has carved itself an important niche in the history of Australian music. The release of Clancy of the Overflow in 1980 led to a flood of correspondence from grateful Australians -- retired drovers, school teachers, cattlemen, teenagers, disc jockeys and ordinary suburban Aussies. Such was the stunning popularity of their debut album, Pioneers, that Wallis and Matilda have headlined the Australia Day Concert at Tamworth four times, most importantly in Australia's Bicentennial year, 1988. 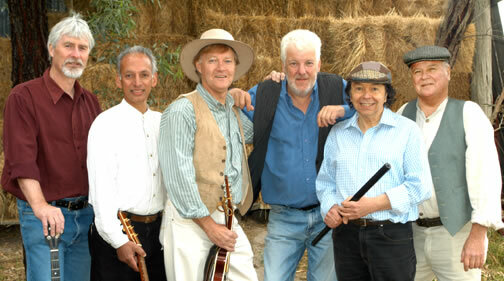 They have also performed many concerts in their own right throughout Australia. From the Queensland farmer who listens to the music all day as he drives his tractor, to the mountain cattleman who sings the songs as he pushes cattle across the high plains, the music of Wallis and Matilda is as relevant today as it ever was. Sung in pubs from Port Melbourne to Fremantle and surround campfires from Omeo to Uluru these are songs that prove there is "a little bit of Clancy in us all." The beauty of Wallis and Matilda is their ability to move with the times. Their latest work is a true reflection of contemporary Australian music recorded with the latest digital technology yet remaining true to the spirit of the bushland that moved Banjo Paterson to poetry. It is the modern expression of the old Australia, a unique blend of music and poetry and a unprecendented collaboration of two great Australian talents from entirely different generations. Wallis and Matilda are on the move. Their entire catalogue is now on two new 3 box sets, a new tour, and this new website dedicated to the group and it's music. If you'd like to be kept up-to-date, just email "Banjo" to and we'll keep in touch.